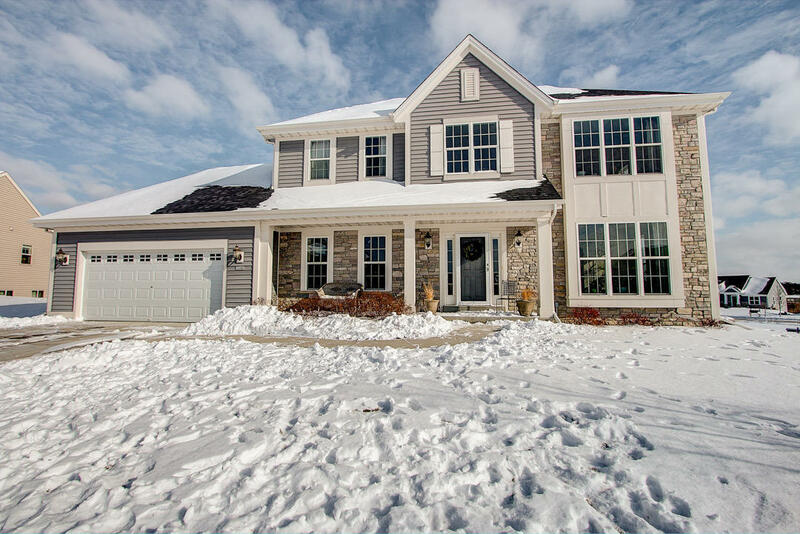 2014 Bielinski Sterling Series built home in beautiful Fox River View subdivision. Well maintained and move-in ready with open sunny floor plan. Kitchen w island, ss appliances, granite counters and large pantry. Mudroom/closet/laundry on first floor off the garage. 1st floor office/den. Master suite with private bath and walk-in closet. Huge open unfinished basement for your future expansion. Fully landscaped (see summer pics) with large back yard and patio. Easy access to National Ave/Fox St and downtown Mukwonago. This won't last long!